Story: After three long years of relentless fighting, the Clone Wars are nearly at an end. The Jedi Council dispatches Obi-Wan Kenobi to bring General Grievous, the deadly leader of the Separatist droid army, to justice. Meanwhile, back on Coruscant, Chancellor Palpatine has grown in power. His sweeping political changes transform the war-weary Republic into the mighty Galactic Empire. 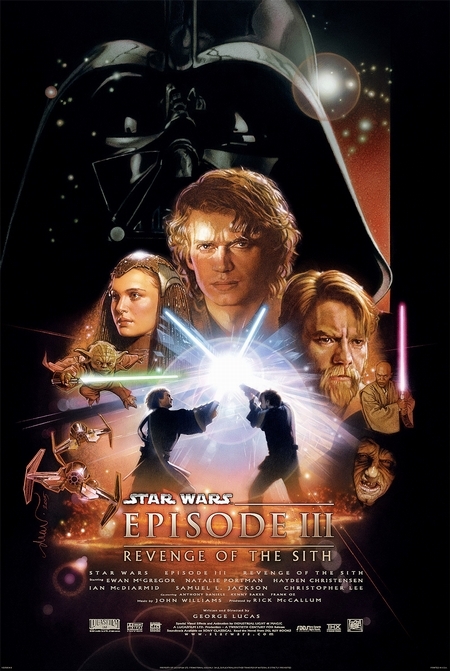 To his closest ally, Anakin Skywalker, he reveals the true nature of power and the promised secrets of the Force in an attempt to lure him to the dark side.